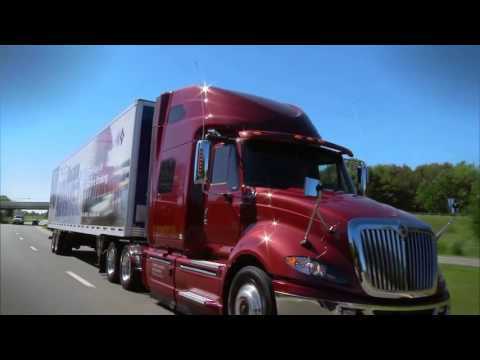 AttriX is a leader in heavy trucking compliance, ELD and telematics. Powered by Geotab, AttriX adds full Canadian compliance and driver coaching layers to the most advanced and precise telematic solution in the world. Assure complete fleet compliance thanks to our ELD and Ontario DVIR features as well as support and training from our ELD, FMCSA and C-TPAT certified compliance team. In addition to compliance, Attrix's Driver Challenge will engage your drivers fleet-wide to improve their EcoDriving behaviour resulting in lower operating costs and better driver retention thanks to our recognition platform. Full line truck dealer for Mack trucks, Volvo trucks and Isuzu trucks, service and parts serving Toronto, Durham, Peterborough and Trenton areas. ISAAC Instruments designs and manufactures technological solutions that help improve performance, productivity and compliance for truck fleets. Supply professional drivers to the for-hire and private fleet operators. A human resource company focusing on the needs of our staff, including pension and lifestyle management. Driver training and evaluation. The Canadian Transit Company and the Detroit International Bridge Co., owns and operates Bridge linking the United States and Canada near downtown Detroit since 1929. Canada bound drivers can fuel up at sixteen diesel bays. No waiting to fuel. A-PASS program rewards offer a $0.05 discount per gallon of diesel fuel, electronic processing of paperwork at three Advanced Border Processing Centre locations, free RFD windshield tag for special toll lanes. Complimentary salad or sandwich and coffee for all fuel customers. A duty free store is also available to US bound drivers. Now partnered with BESTPASS as a toll payment option! Trailcon Leasing Inc., established in 1992, is one of the largest trailer and intermodal equipment rental, leasing, and service leaders nationwide. Besides its 75,000-square-foot state-of-the-art head office in Brampton, ON., Trailcon has branches in Cornwall, ON. ; Edmonton and Calgary, AB. ; and Surrey, BC. Its fleet of more than 7,000 units consists of dry vans, refrigerated and heated trailers, intermodal containers, chassis, and storage trailers. Trailcon offers short-term rentals and long-term leases of its equipment to a variety of industries. A dedicated Fleet Maintenance Program services not only Trailcon’s own fleet, but also over 10,000 customer-owned units. Almost 100 licensed trailer technicians across Canada and 15 MTO-licensed stations in the GTA make Trailcon the largest mobile repair fleet in Canada. Dedicated 24/7/365 in-house Customer Response Centre representatives, at 1-855-ROAD-RPR (855-762-3777), immediately dispatch assistance to meet your maintenance and repair needs – anytime, anywhere.For more information, visit trailcon.com. Loadlink freight matching, satellite tracking, trailer tracking, dispatch software, online recruiting.